Keith’s coaching style revolves around improvement for himself and his clients. Whether it is physical strength, performance, education, business, body composition, growth, relationships, or mindset. Keith’s pursuit of improvement is what led him to be the man he is today. Countless hours in the gym, inside a book, seeking knowledge, and doing whatever he can to become the best strength/nutrition coach Wisconsin has to offer. 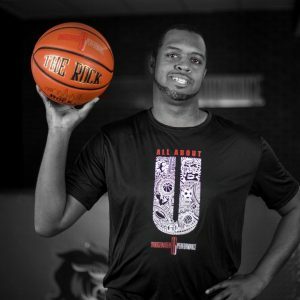 Keith excelled as a high school and college athlete who also struggled with being an overweight as a child as well. He can empathize with mostly anyone who walks into the gym which allows a relationship to form before the training even starts. 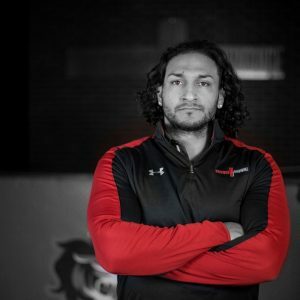 Keith prides himself in being someone who coaches and trains athletes and people at all skill levels to help them improve their strength physically, psychologically, and emotionally which is an incredibly rewarding experience. Keiths approach is to teach intelligent training. His training is based off of the individuals needs, in the smartest way possible, to help them obtain their desired goals. Ryan Citro from Cudahy, WI has been an all-around athlete all of his life. From diving, competitive gymnastics, college baseball, dunking for the Milwaukee Bucks Rim Rockers, and aspiring to become a golf Long Drive competitor, it is hard to put a limit on what he can’t do. His love for sports led him to pursue a degree in Exercise and Sports Science from Upper Iowa University, while becoming a college athlete for their baseball team. 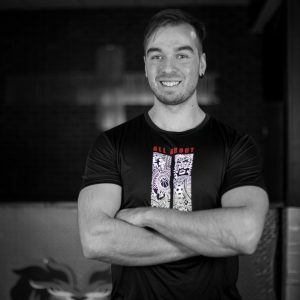 Experienced with over 8 years of personal training his wide sports background gives him the adaptability to custom fit your workout needs. Ryan’s hardworking character and drive for fitness will be noticed every time, constantly challenging you to push harder and be stronger. She recently graduated from UW-Milwaukee having earned her Bachelors in Kinesiology and a minor in Nutrition. Athletics has always been a part of C’s life, starting in middle school. Her background contains two years as an Assistant Volleyball Coach and over two years as a Bodybuilder, which has developed and added to her knowledge of the human body. These experiences have contributed towards C’s role as a Strength and Conditioning Specialist giving a unique perspective of the challenges that people face while pursuing their personal health and wellness goals. Health and Wellness could be misinterpreted as a fad, but her training consists of encouraging her clients to make consistent habits that are maintainable for a lifetime. Her highest priority is to help educate clients with the science behind exercise and nutrition, by providing them with an injury prevention training style and individualized resources to keep them on track towards their achievable goals. Katie attended Muskego High School where she played basketball all four years. She was a 2010 Wisconsin Basketball Coaches Association (WBCA) All-Star selection. She averaged 17.0 points and 7.5 rebounds per game on 43.2 percent shooting as a senior on her way to first team all-state honors from the WBCA. Katie was named the Waukesha County Player of the Year, and also named Inside Wisconsin Magazine Athlete of the Year. She helped Muskego to its second-straight Southeast Conference title as a senior. She also set the Southeast Conference record for points in a single-season with 426. Katie earned Sporting News Magazine Honorable Mention All-America honors prior to her senior year. She earned first team all-state honors from the WBCA as a junior as well. She averaged 15.6 points and 8.5 rebounds per game as a junior, while leading Muskego to a perfect 16-0 conference record. In 2009, she earned third team all-state honors from the Associated Press. 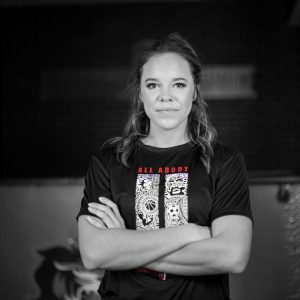 Katie earned three varsity letters in both basketball and volleyball, and earned second team all-state honors in volleyball as a senior after helping the Warriors to the Wisconsin state title. Katie played four years of Division I basketball at the University of Evansville (Indiana). After her college career, she came home to pursue her passion for teaching. She is now an elementary teacher in Muskego and a girls high school AAU coach in the summers (for the past four years). Her excitement for sharing knowledge on and off the court has driven her to coach and help young men and women to thrive in the basketball world.